I want to share with you a happy event from yesterday as seen in the photograph above. You likely know that our County Supervisor and great friend to Buena Vista, Supervisor Joe Simitian, was elected this year as President of the Board of Supervisors. 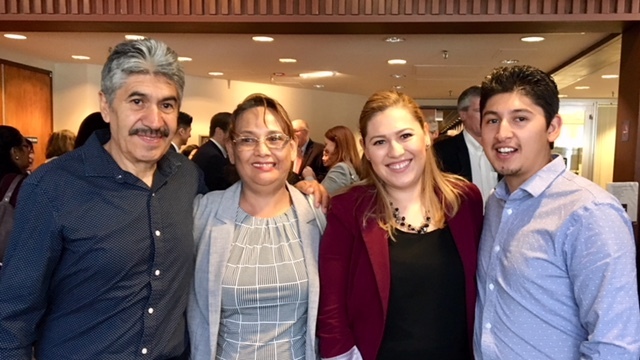 In that capacity he delivered the annual State of the County address and asked Buena Vista’s longtime Board President, Erika Escalante to introduce him. As her parents and brother watched with pride, Erika spoke to a standing room, overflow audience of mayors, county and state officials. Having grown up at Buena Vista and as a leader she embodied a great lesson learned from the effort to save Buena Vista – broad partnerships with city and county governments and agencies, community and faith groups, current and former officials, schools and BV residents can prevail when seemingly impossible barriers stand in the way of progress. Supervisor Simitian message was of such partnerships as a proven way to progress in times when the federal government makes it difficult and the State government is in a time of change. His message was challenging yet attainable, practical and positive while delivered with good humor and of the right length to be interesting to the end. I encourage you to watch the video. What Supervisor Simitian has to say will be of interest to you and is important to us in Santa Clara County. 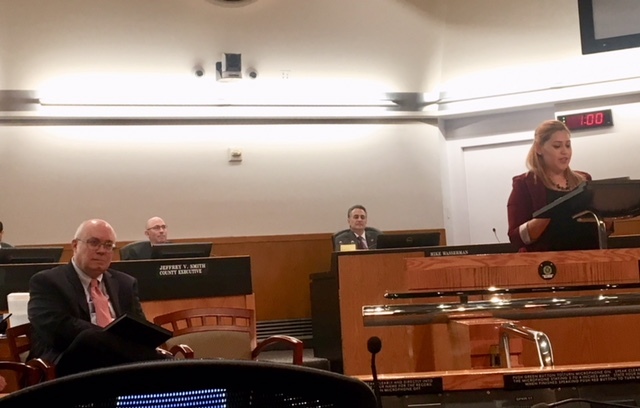 There were friendly faces from Palo Alto – some City Council members, an attorney from the Law Foundation that represents BV residents, and the Executive Director of the Housing Authority which now owns BV. Many others greeted Erika afterwards, knowing her or of her, having followed the Buena Vista saga over the years. It was a wonderful event and a reminder that Buena Vista not only was saved but has importance and resonates beyond its 4 acres. All else at BV goes well. Plans are being worked on for upgrading the property as was promised. Residents are getting on with their lives. The Homework Club is a most welcome new undertaking. The future unfolds.